SCOTS renting their home face a dangerous class divide over how the law protects them from fires, we can reveal. A Sunday Post probe has discovered a two-tier legal system in the way authorities treat fire safety across the country. While private landlords face a barrage of safety checks, local councils and housing associations are not even required to provide working smoke alarms. The two-tier system has emerged in the wake of this week’s tragedy at Grenfell Tower in London. Fifty eight people are presumed dead – but that figure may rise – after a blaze ripped through the tower block in the early hours of Wednesday. 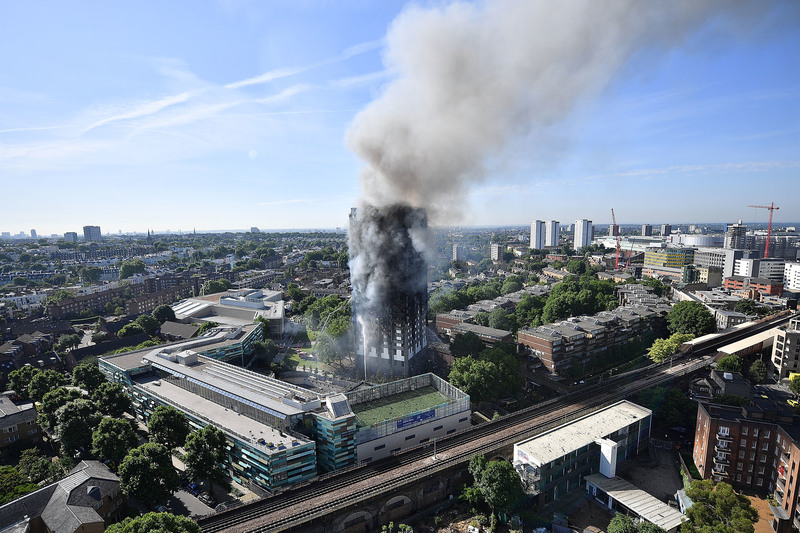 Cladding which had been applied to the outside of the block to improve its insulation and appearance is believed to have spread the blaze, which began on the fourth floor. Now as the Scottish Government begins an urgent review to establish how safe the country’s 1000 tower blocks are, an alarming lack of fire safety regulations in the social housing sector has emerged. Social housing landlords are only required to meet the Scottish Housing Quality Standard, which is the Scottish Government’s principal measure of housing quality. Those standards see social housing landlords asked to provide just one smoke detector in each of the 594,000 social housing homes throughout Scotland. But they don’t even need to be functioning. In contrast, since 2013 Scotland’s private landlords have had to conform to tough laws on fire safety. They have to provide a working smoke alarm in the living room as well as one in every circulation space, such as hallways and landings, plus a heat alarm in every kitchen. And all alarms must be hardwired to mains electricity supply so they do not rely on batteries and must be interlinked so if one is activated, all alarms sound. Last night there were calls for the loophole to be closed immediately. Iain MacInnes, from the Scottish Tenants Organisation, said he wanted authorities to review the rules as a matter of urgency. He said: “We hope in the wake of the horrific situation in Grenfell Towers in London, the Scottish Government correct this anomaly. John Blackwood, Chief Executive of Scottish Association of Landlords said: “The safety of tenants is the top priority for landlords in the Private Rented Sector. Sean Clerkin, of pressure group Glasgow Homeowners’ Campaign said: “This is just another example of people on low incomes being treated differently. Scottish Labour housing spokesperson Pauline McNeil said: “The tragic events in London this week will have focused minds on standards of housing across the UK. The SNP Government needs to be making every effort possible to ensure all homes are up to the required standard, whether social or private rents. Mary Taylor, chief executive of the Scottish Federation of Housing Associations, said: “Following the Grenfell tragedy, many of our members that have multi-storey homes have contacted us and provided details on the work they do to check fire safety in their homes and to confirm the insulation used on their properties is non-combustible and complies with building standards. “Our members already invest heavily in improving existing homes to meet the Scottish Housing Quality Standard and comply with Scottish building regulations when building new homes or carrying out major refurbishment works. “Housing associations are professional organisations who take fire safety and the welfare of their tenants seriously, and they also already work closely with Scottish Fire and Rescue. Meanwhile, an independent fire safety expert has called for sprinkler systems to be compulsory in all high-rise apartment blocks. In Scotland all new residential buildings higher than 18 metres have to have the systems installed. There is no requirement for older buildings to have them.